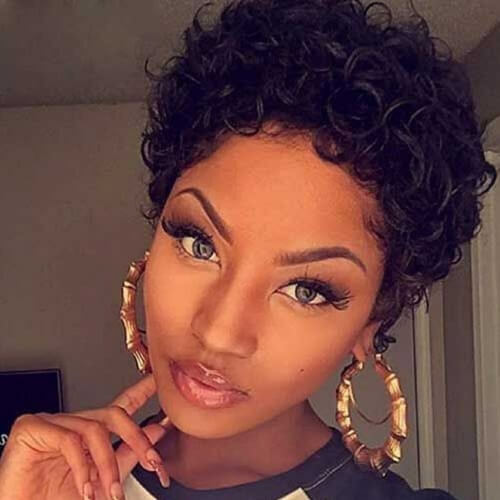 Even if your locks aren’t waist-length, there are tons of gorgeous short hairstyles for women you can play around with. From cuts to braids and more, these hairstyles for short hair will definitely inspire you for any occasion. Check them out below! One of the best parts about having a short hairstyle is that you can get creative with accessories. 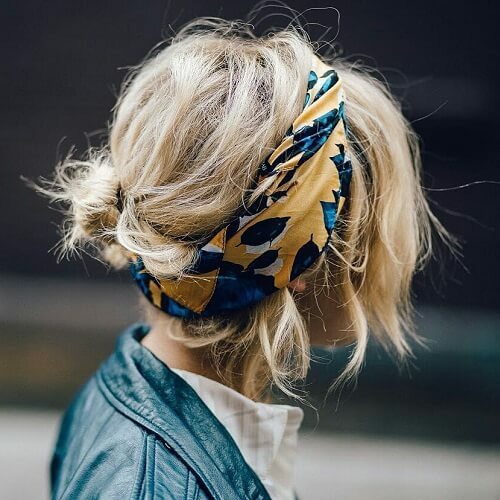 Pull your hair back into a low messy bun and use your favorite scarf as a chic addition to your outfit. What’s more adorable than a short braid to go with your short locks? Part your hair half up half down and have fun weaving a braid down the middle. 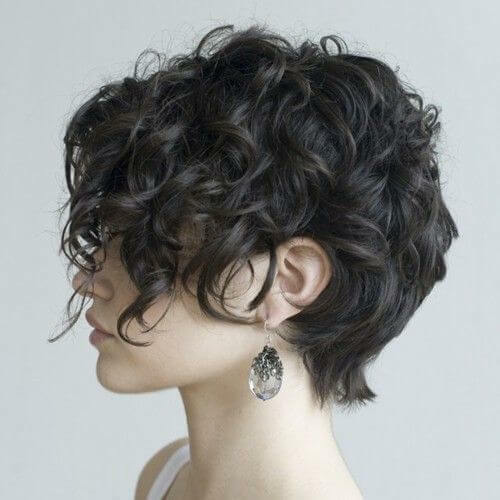 If you’re lucky enough to have naturally curly hair, emphasize it with a superb pixie cut. Let a few curls caress your forehead and you have beautiful results that are easy to style. Get inspired by the stunning Ashley Benson and her au naturel bob haircut. It’s super easy to maintain and your hair will be on point day and night. 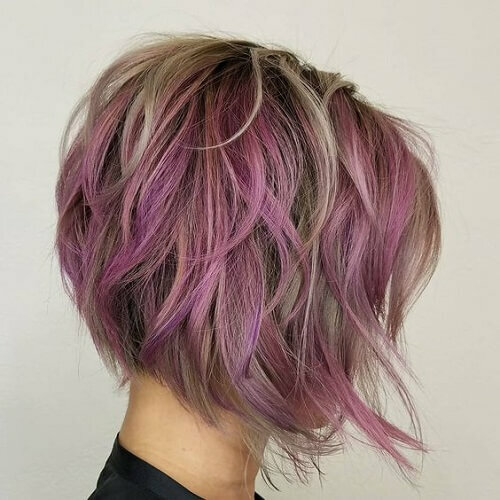 Want a bit of color without going over the top? Balayage is your friend. 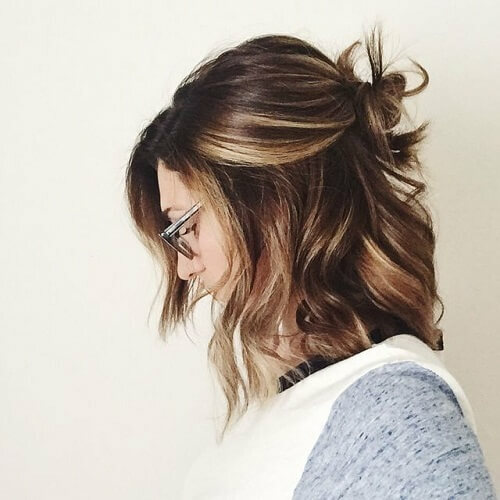 These honey highlights amazingly accentuate a long bob, creating an image that’s perfect for casual and formal events alike. It’s no wonder why A-line haircuts have gained more and more popularity over the last few years. Such a simple idea has the power to frame your face like few other styles do. Additionally, it looks magnificent with short hair. In a rush but don’t want to have the same look as you do every day? 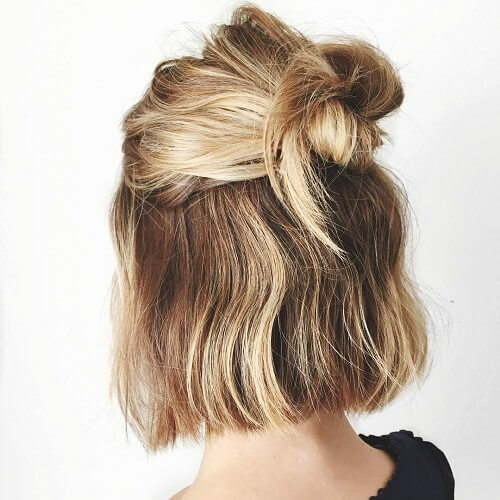 Split your hair in two and twist the top part into a loose bun. In less than two minutes you’ll be fabulously ready to go. Afro hair has an outstanding charm that can’t be replaced. If you were born with natural black hair, model it into your favorite shape. 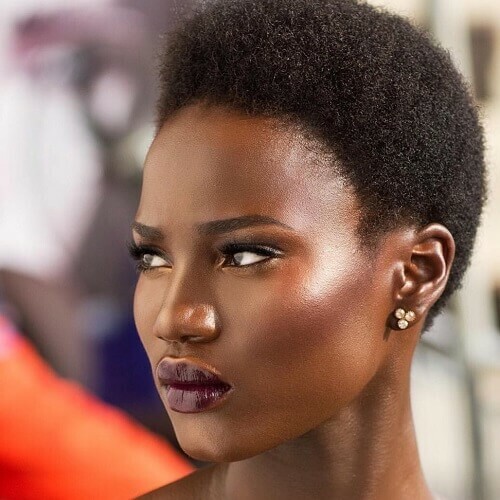 Super model Funke William is the perfect example of how you’ll glow. 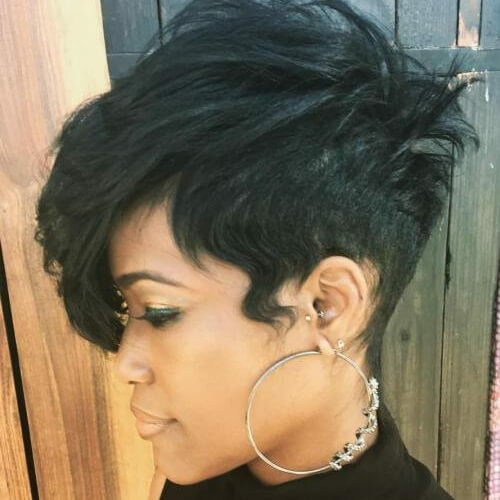 This is another one of the short hairstyles that you can whip up in a minute and enjoy effortless style afterwards. Grab 2-3 bobby pins and twist a few locks to the back for a lovely half up half down hairstyle. Without a doubt, the half up top knot is one of the hottest short hairstyles of the year. To nail the look, simply part your hair horizontally, secure a half up ponytail with a thin hair band and then wrap around to create a loose bun. Getting this hairstyle is a breeze if you have naturally wavy hair. All you have to do is cut your hair to shoulder length and add some color with a few highlights and lowlights. Casually toss it to the side and you’re done! It’s impossible to not love a pixie cut when it’s executed properly. For example, this style with super long, side-swept bangs and a shaved side is wonderful for a lady who’s not afraid to show her radiant personality. 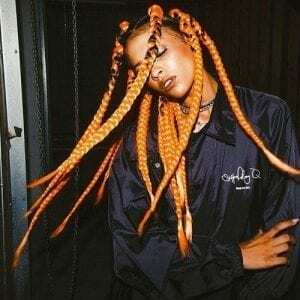 If you’re into the edgy and sleek hairstyles that are found in fashion photography, you should definitely check out this idea. Designed by famous hairdresser Anna Eshwood, this short hairstyle transforms your locks into a genuine work of art. 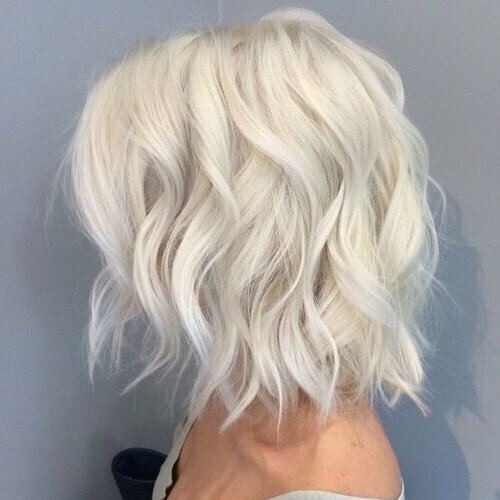 Platinum white is always a fantastic choice of hair color for the outgoing fashionista. However, when you pair it with wavy, short to medium chopped locks, the outcome is even more breathtaking. All you need is a bit of courage for the color; the admiration will come naturally. 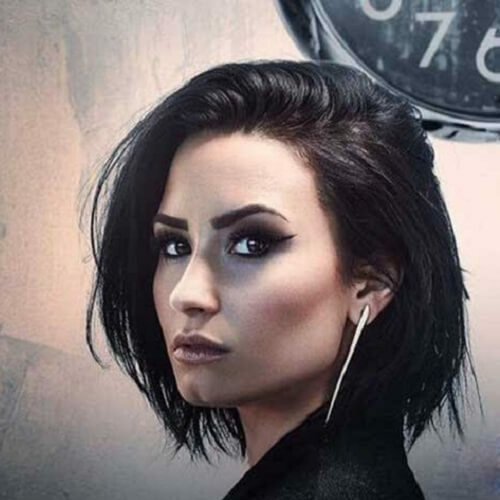 When you think about an edgy and chic bob for black hair, there are high chances that Demi Lovato will come to mind. The grunge pop icon flawlessly rocks a short hairdo tossed to the side, serving as inspiration for plenty of girls who want a similar look. 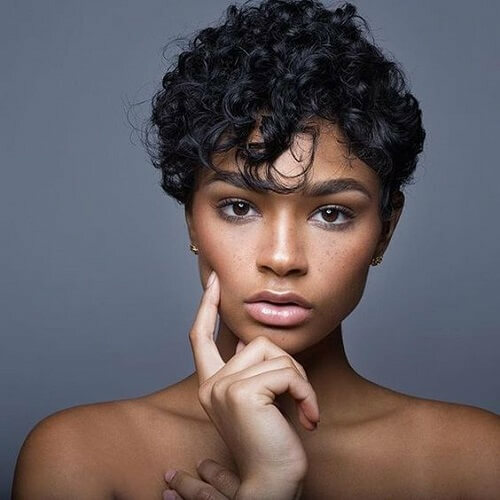 With a romantic, European-like allure, a long pixie cut with soft waves and a natural hair color is one of the sweetest short hairstyles to go for. This style works especially well for girls with small faces, so keep it in mind if you fall under this category. If you dream of walking the red carpet one day, why not get inspired by the people who do? Julianne Hough shows how a natural wavy bob can be paired with elegant attire, creating a look fit for a Hollywood premiere. Do you feel that your soul belongs in the 50s? Your passion for vintage glam can be transformed into the ultimate short retro hairstyle. Highlighted by soft finger curls, this style looks dazzling on dark skin. 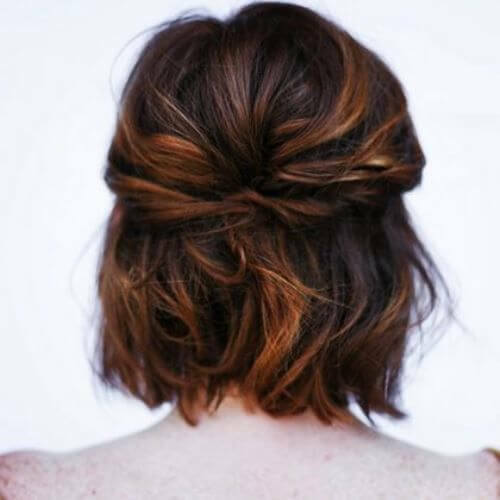 For the bohemian at heart, this loose side French braid is ideal for a short bob. What makes it remarkable is how the end is smartly hidden in the rest of the hair, giving the whole look a natural glow. Ombre hair is as popular as ever, especially when paired with the perfect A-line long bob. Part your hair a bit to the side and let the pretty shape of the A-line cut contour your face. Another artsy short hairstyle that is marvelous for bohemian weddings is this half up half down back braid crown. You might need a bit of help for it to turn out the way you want to, but the results will take your breath away. 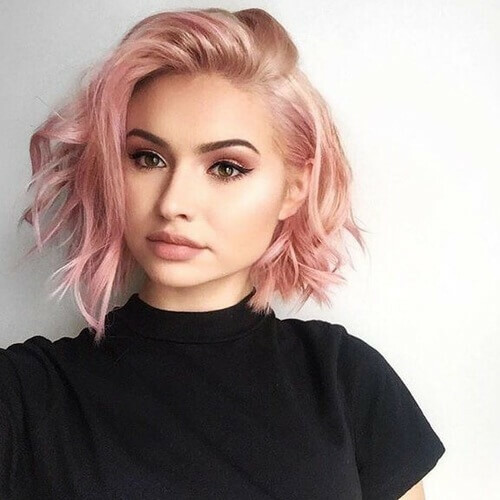 If you opt for a natural short hairstyle like a choppy bob, you can bring the look to life with a silky color like pastel pink. Other fairy hair colors include lavender, baby blue or light mint green. 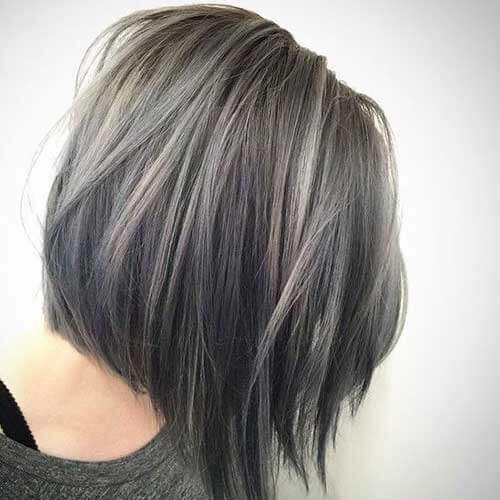 Another daring shade is this beautiful steel grey, that’s currently trending as granny hair. It’s a splendid hair color choice no matter what time of the year it is, and it looks brilliant with a long A-line bob. Want to leave a long-lasting impression at prom? Part your hair to the side, take two pieces of hair from one of the sides and twist them together. Secure them with some bobby pins at the end for an amazing twisted half up short hair do. 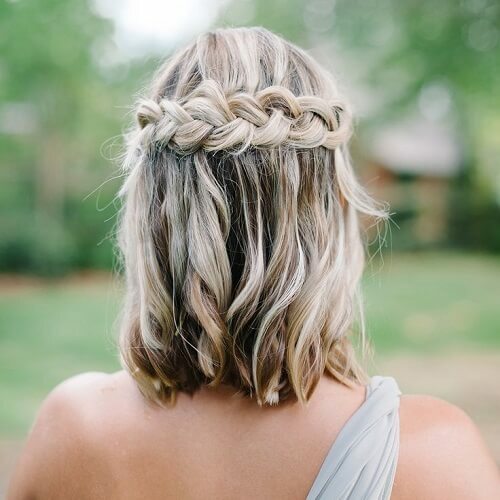 Regardless if your hair is long or short, waterfall braids will always be absolutely stunning. It doesn’t matter if your hair is dyed or you’ve kept your natural tones, this hairstyle will always be admired in all sorts of situations. We all know that the pixie cut is one of the loveliest short hairstyles on its own, but what happens when you combine it with shaved sides? You get a glamorous hairstyle you’ll fall in love with. 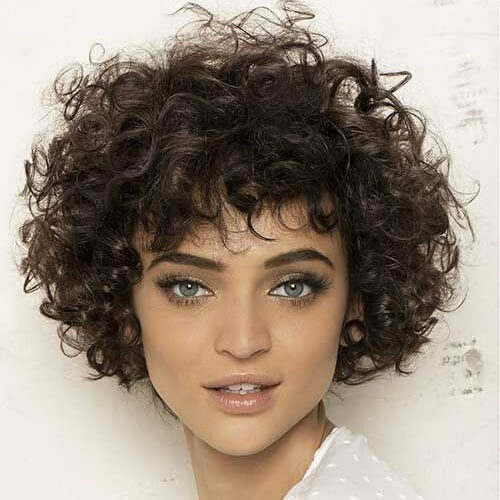 Another retro-inspired look for short hair reminds you of Marilyn Monroe with her gorgeous big curls. The twist? A sheer shade of rose gold as the icing on the top for this vintage hairstyle. Any girl that has had bangs before knows that they’re pretty hard to maintain. However, if you have wavy or curly hair, it becomes easy. 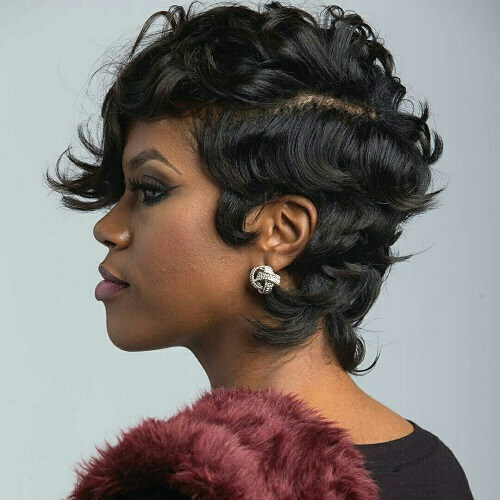 This short hairstyle is spiced up with side swept bangs that complete the look perfectly. 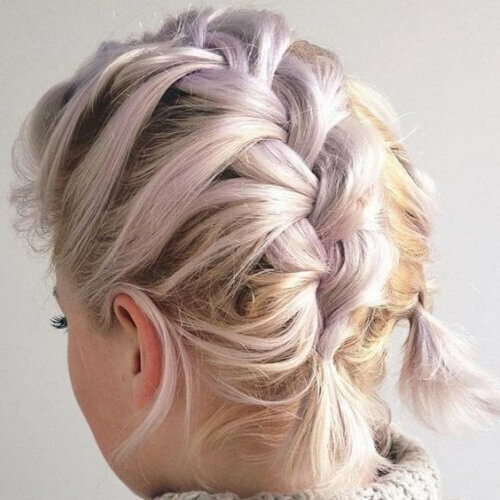 What happens if you mix pastel hair with neat braids? 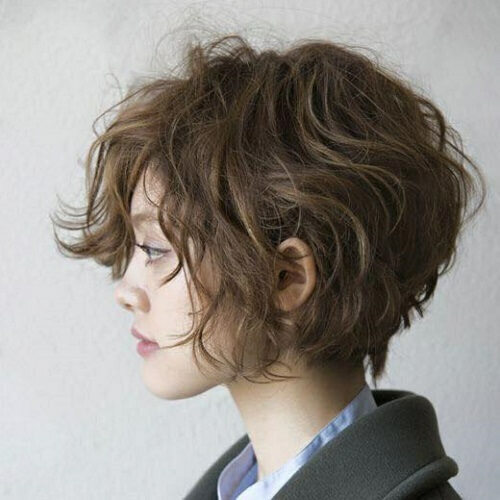 The result is a short hairstyle that will make heads turn. 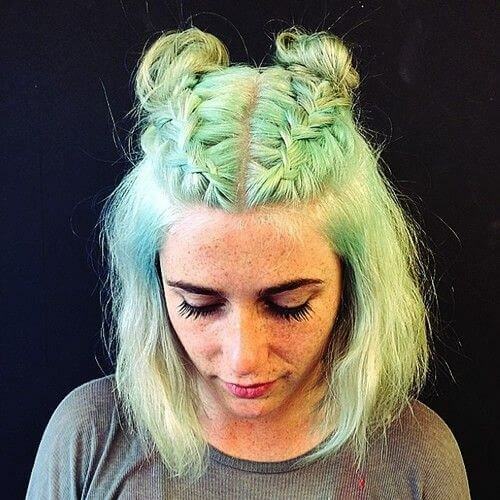 Strut your bob with two half up French braids that end in cute loose buns for an amazing impact. Those who listen to Paramore know that Hayley Williams is the queen of eccentric hair colors. 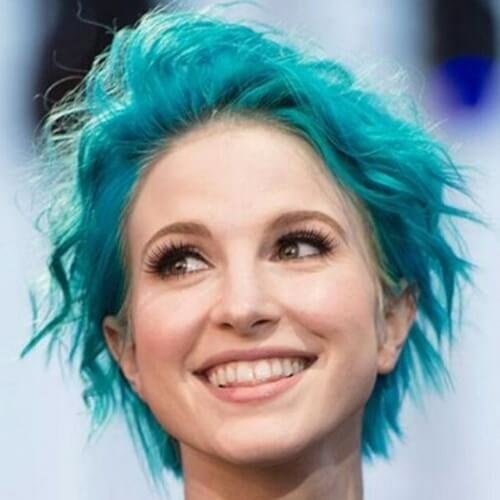 Even though we usually associate her with fiery tones, she now inspires us with electric blue short hair. 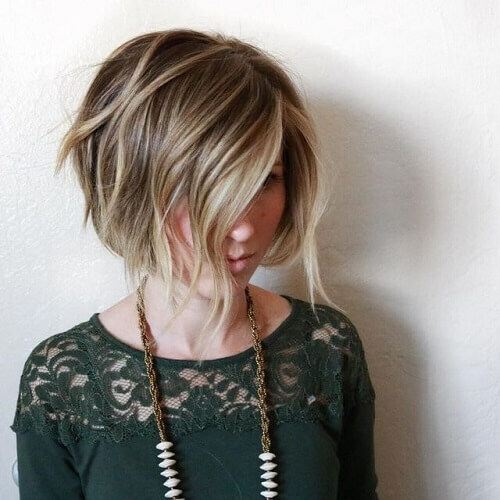 The beauty of short haircuts like pixies is that you can style them in multiple ways. 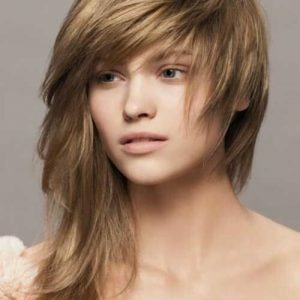 In addition to edgy styling, pixie cuts can also be elegantly swept to the side for a chic result. As A-line bobs usually start short in the back and get longer in the front, you can easily style the front part as you please. 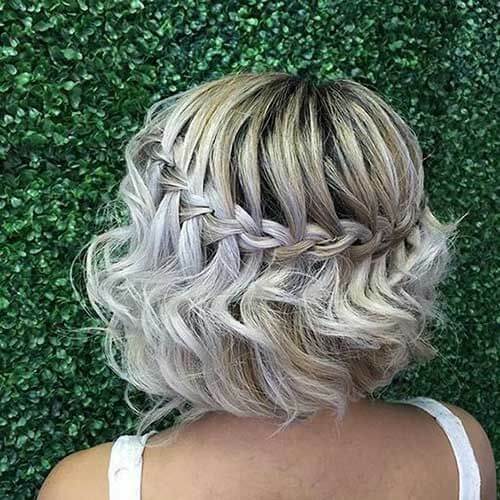 This messy fishtail braid is done on one side to create a dynamic and playful look. Keep the curls coming! 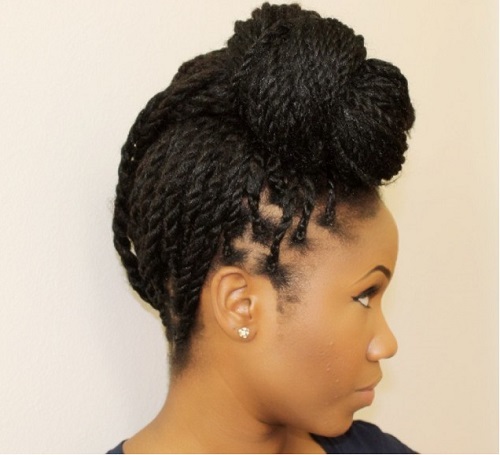 This is one of the easiest hairstyles for African American women that require virtually no maintenance. All you have to do is add a bit of mousse for styling and you’re good to go. This is the longer version of the aforementioned hairstyle. Nevertheless, the styling recommendations are the same. 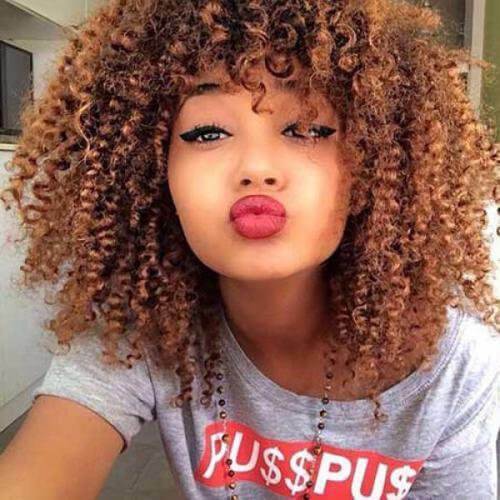 Let your curls fall naturally and only add some mousse to shape them if required. 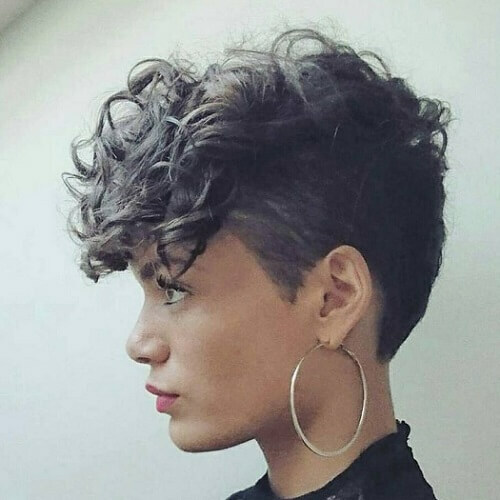 This is one of the edgy pixie cuts that work like a charm for girls who aren’t afraid to show their personality. Aside from the brilliant violent tone used, you can see a subtle A-line cut that makes the whole look complete. 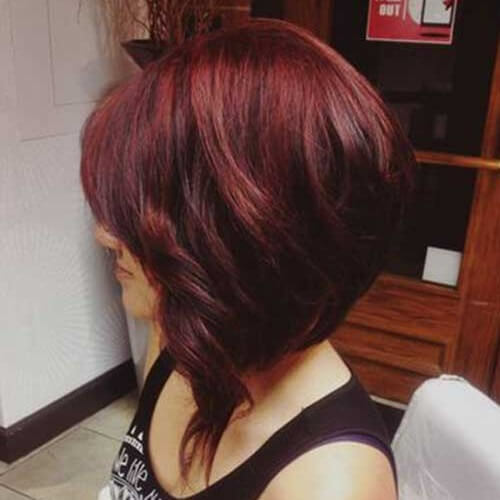 If you want a well-rounded hairstyle that looks fantastic from any angle, an inverted long bob is just what you need. 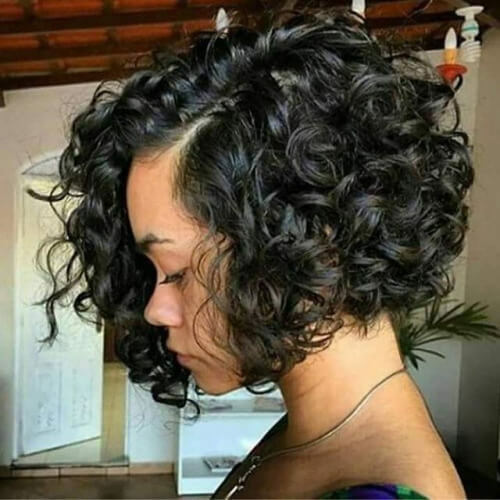 The base is about an inch above your shoulders and is styled inwards, but the slightly curled longer part in the front makes it picture-perfect. Naturally thick hair looks incredible when styled in Dutch pigtail braids. Don’t worry if a strand or two escapes the braid – it all makes the hairstyle even more memorable. 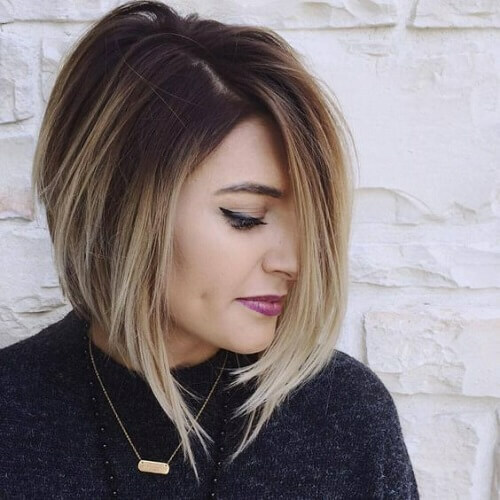 If your face is round, an inverted bob with casual bangs is just what you’re looking for. This short hairstyle complements the shape of your face while framing it just right. No matter if you go for one or two braids, the fishtail technique really is one of the most original you can go for. For shoulder-length hair, try parting your hair half up half down and braiding the top part into a fishtail. If Christmas is your favorite time of the year, why not improvise a wreath-like crown and add it to your short hairstyle? 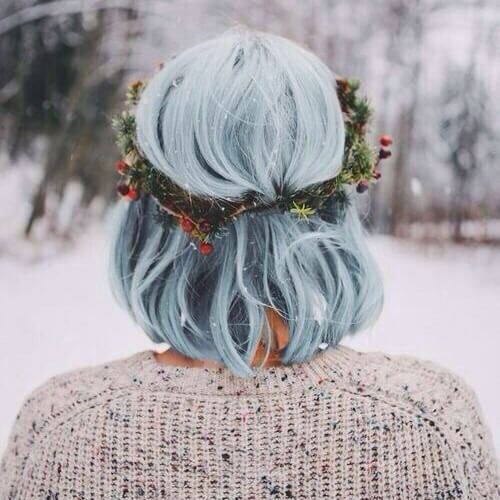 This looks even more beautiful if you have a pastel hair color, like an icy baby blue. 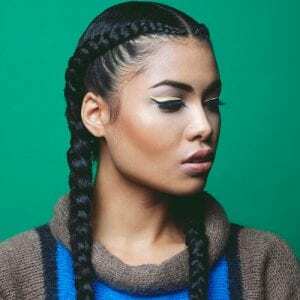 A great number of girls or women avoid cutting their hair short for not being able to style it in braids afterwards. Nonetheless, even chin-length hair can be braided with ease. For instance, try two loose, large French braids and see how it goes for you. 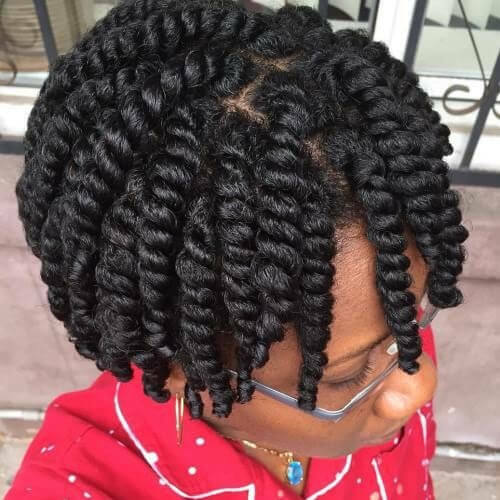 Another one of the benefits that natural afro hair has is that it can be gorgeously styled into crochet braids. 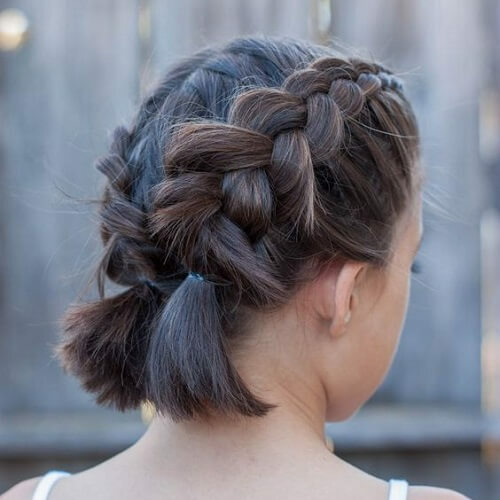 Even though these twisted braids are usually used on long hair, they look just as charming on short locks. 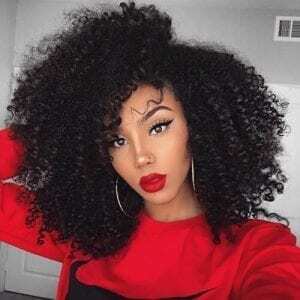 Embrace your natural waves or curls and let them fall naturally across your face. 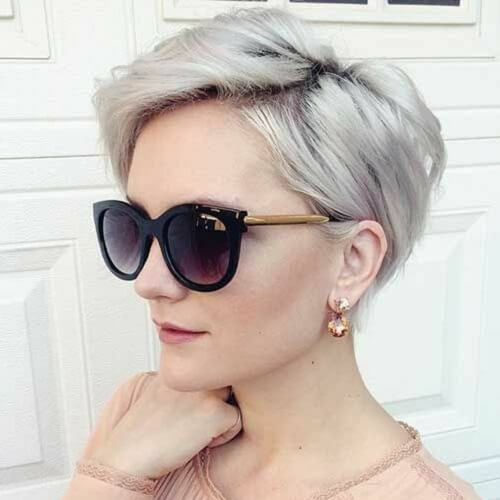 This long pixie cut looks fabulous for ladies with oval-shaped faces. 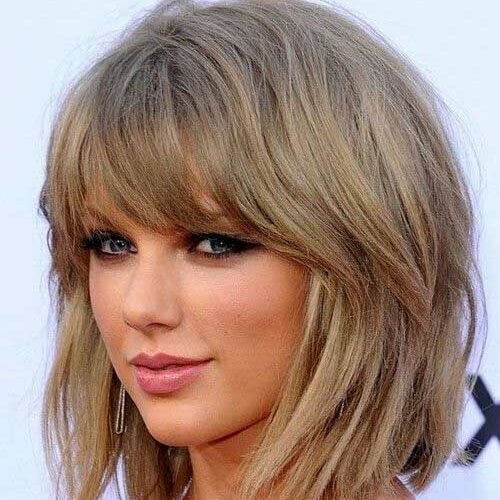 Taylor Swift shows how thick hair can look outstanding even when short. If you have thicker locks, go for a choppy bob with bangs and don’t shy away from your natural volume. There are quite a few hair colors that look even better combined than they do on their own. 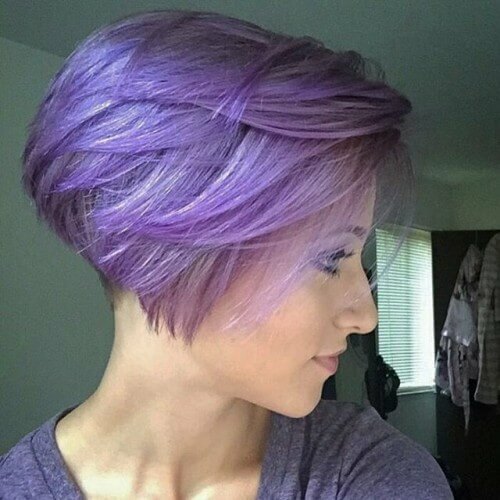 For example, tones of grey, ash blonde, lavender and violet have a spectacular impact on short wavy hair. It’s not easy to have bouncy and voluminous locks. However, if you were born with curly hair, it’s likely that yours is this way if it’s cut properly. Have fun with your curls! 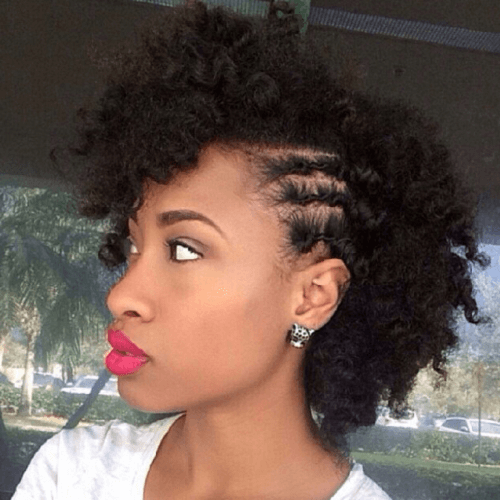 Afro hair looks exquisite when braided, but what if you don’t want to go for full braids? Short black hair can be styled with three side braids that are elegantly twisted out into the rest of the curls. Not sure what color to give your new short haircut? 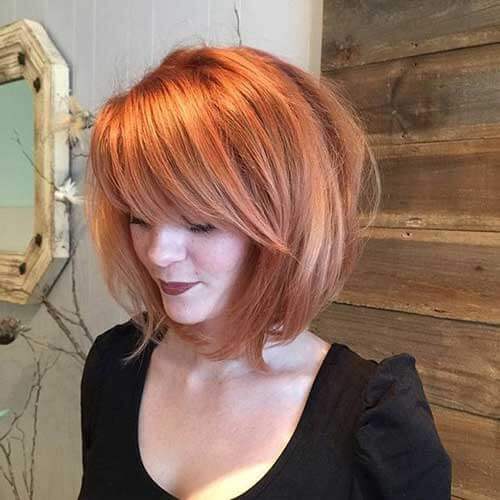 A bob is absolutely charming in a rose gold, strawberry blonde or copper shade. Scarves or bandanas aren’t the only accessories you can use with short hair. 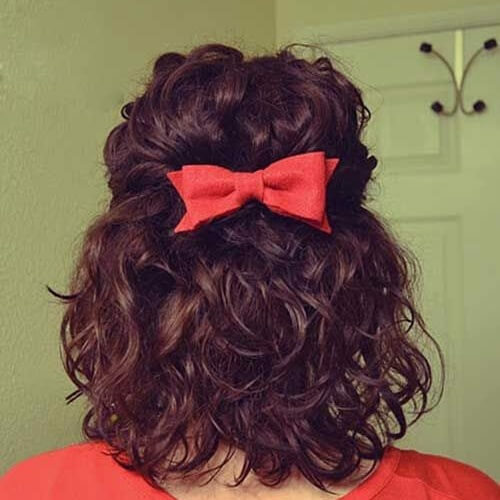 Curly or wavy hair, in particular, looks wonderful if you add an adorable bow to your half up half down hairstyle. Last but not least, you can always leave your hair down and around your shoulders, especially if you have big and bouncy afro curls. Well-placed uneven bangs make the look even more delightful. To conclude, there are countless short hairstyles that are cute, elegant, playful or bold. In the end, it’s best to choose a style that represents your personality. Don’t rush and take time to explore your options. 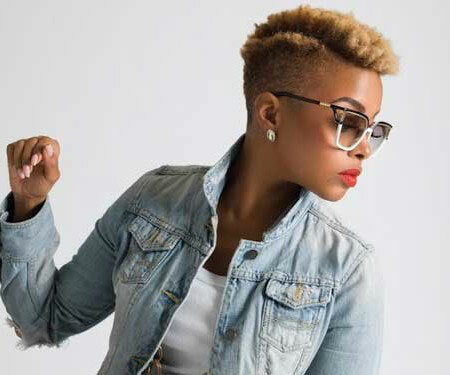 After that, rock your short hairstyle like a super star!